This policy involves only the website of www.hotel-ausonia.com and not other websites the user may consult by clicking on links. The policy is also based on Recommendation n. 2/2001 implemented on May 17th 2001 by European authorities for the protection of personal data, reunited in the Group instituted by art. 29 of Directive n. 95/46/EC, for the purpose of identifying a series of minimum requirements for the online collection of personal data and, in particular, the methods, time frames and nature of information the owners of the treatment must provide users who connect to websites, regardless of the purposes of the connection, as well as on further updates following the implementation of the GDPR and the delegation decree connected to the GDPR. The personal data indicated in this page are treated by Hotel Ausonia sas di Lanzarini Alexandra & C, for the purpose of performing its activities. The juridical foundations for treatment on the website are consent, execution of a contract and pursuit of a legal obligation. The optional, explicit and voluntary sending of messages to the contact address of Hotel Ausonia sas di Lanzarini Alexandra & C, as well as the compilation and forwarding of modules on the website www.hotel-ausonia.com , involve the acquisition of the sender’s contact data, necessary for sending a response, and of all the personal data included in these communications. Specific information notes will be published on the website www.hotel-ausonia.com for the supply of certain services. The optional, explicit and voluntary sending of data inserted in the data collection modules (forms), or in e-mails to the electronic mail addresses supplied on this website entails the acquisition of the sender’s address, necessary to respond to requests, as well as of eventual further personal data contained in the messages sent. We specify that personal and/or corporate data inserted in the forms on the website www.hotel-ausonia.com is protected by Hotel Ausonia sas di Lanzarini Alexandra & C and used only to answer user queries and to provide requested information and services. With the exception of the information listed above concerning data treatment, the user is free to provide Hotel Ausonia sas di Lanzarini Alexandra & C with personal data via the info request modules. In any case, whenever such data is requested, a specific disclosure note will be supplied and, if necessary, the user’s consent will asked to indicate his/her consent. The recipients of the data collected due to consultation of the site listed above are subjects designated by Hotel Ausonia sas di Lanzarini Alexandra & C as subjects responsible for the treatment, pursuant to article 28 of the Regulation. The personal data collected is furthermore treated by staff of Hotel Ausonia sas di Lanzarini Alexandra & C on the basis of specific instructions related to purposes and methods of the treatment in question. Hotel Ausonia sas di Lanzarini Alexandra & C., with legal and operational headquarters in Via XV Traversa, 11 - 48015 Milano Marittima RA, VAT code: 01202040398 in its quality of Owner of the treatment of your personal data, pursuant to EU Reg. 2016/679 - hereunder indicated as the 'GDPR' - intends to inform you with this note that the aforementioned legislation regulates the protection of subjects whose personal data is processed and that this treatment will be based on principles of correctness, lawfulness, transparency and protection of your privacy and rights. Owner of the Treatment: the Owner of the data treatment, pursuant to legislation, is Hotel Ausonia sas di Lanzarini Alexandra & C., with legal and operational headquarters in Via XV Traversa, 11 - 48015 Milano Marittima RA, VAT code: 01202040398 in the person of its pro tempore legal representative. Book on our website! Fast and convenient! Only customers who book directly from our website! Direct contact, no intermediaries, book now! you will receive a discount voucher for your first stay via mail. 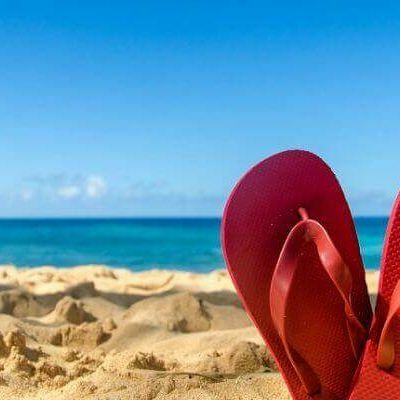 In the coming months, we send you news, offers and ideas for your holidays in the Riviera Romagnola. The Hotel Ausonia is a hotel near the Cervia Thermal Baths, which are only 4 km away. Therefore, if you choose us for your next holidays in Milano Marittima, it will be easy for you to reach the thermal baths and make the most of their wellness treatments. In this well-known thermal structure, you can undergo specific treatments for both psychophysical well-being and beauty: this is possible thanks to the particular “liman” muds used in this center, which are particularly functional for treating osteoarthritis and rheumatisms. Nearby the Cervia Thermal Baths, is the Natural Park of the city, where you can walk surrounded by nature, in a charming scenario which will help celebrate unforgettable days of peace and well-being. Discover the comfort of living this experience as a guest of our Hotel in Milano Marittima, surrounded by a relaxing atmosphere. In front of the Hotel, you will find the bus stop to reach the Thermal Baths in just 5 minutes. It couldn’t be easier! 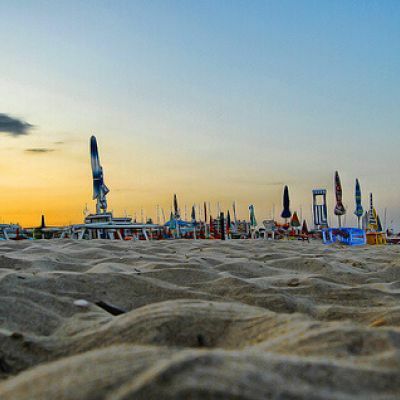 "This hotel is located at beach of Milano Marittima. Th staff is friendly and considerate. The rooms are medium-sized and well-equipped. Bathroom large and clean. Airco en WIFI are great. We have an all-inclusive formula. The breakfast was good and plenty, particularly to Italian standards. Both the lunch and dinner were great as well. A full range of anti-pasta to choose from unlimitedly. The second and third course as well as the dessert had a choice of 5 options each !! Outstanding. Another bonus was the use of the massive pool and pool bar at the Hotel Adria next door. This hotel is a full 4 star and owns one of the largest pools in town. Furthermore, on the beach two beds and parasols were included. This hotel is clearly more than 3 stars and a gem. I would not know a better option in this price range in Milano Maritimma. Till next time."